Robert Peters said of Roxie Powell’s first chapbook, Dreams of Straw, “anyone anxious for an original experience in poetry will love Dreams of Straw“. Non-workshop, non-Iowa, non-NY city-clever, non-anything. It’s rumored Allen Ginsberg carried one with him for years, and this is fact: Ginsberg paid for a second printing of the book. Roxie has published only two additional books in the 35+ years since Dave Haselwood’s Auerhahn Press printed Dreams of Straw. the synaesthesia press is proud to publish the poet’s fourth title, Wild Whispers. 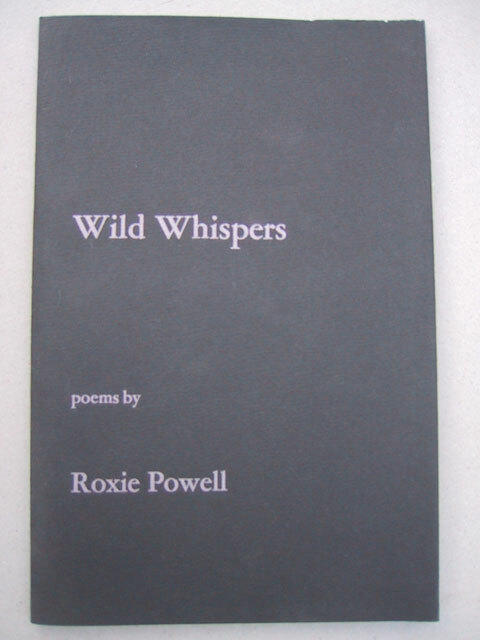 Wild Whispers was published in a limited edition of 125 copies; 99 are numbered and signed by the poet, 26 lettered copies are signed by Roxie, Anselm Hollo, and Charles Plymell. 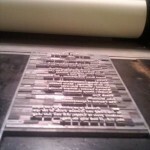 The lettered copies have three letterpress broadsides laid-in. 24 pages, folio, with dust jacket and covers letterpress printed and all copies hand sewn into wraps. Roxie Powell is one of the best poets you’ve never heard of. We’ll even go as far as to argue that his first book, Dreams of Straw, is one of the most whimsical, quirkiest — and superb — little books of poetry published in the 1960’s. I’m even taking Richard Brautigan into consideration. Just don’t expect an argument from me.